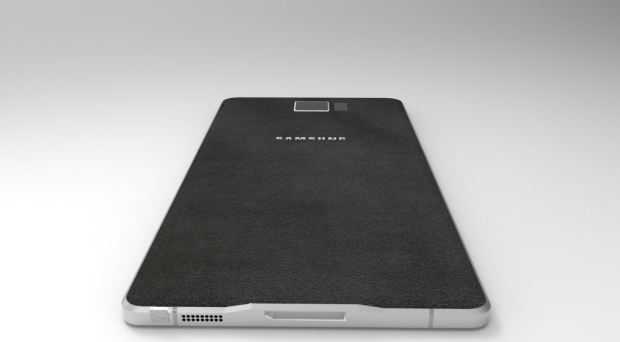 Samsung Galaxy Note 6 is getting closer as the clock ticks. While there are no specific details on when this phablet will be available for purchase, there are some new details coming out about the model numbers of the phone. Codenamed Project Grace, the Galaxy Note 6 will join the likes of Samsung Galaxy S7 and S7 Edge in cutting down on the number of models that are sold out to different markets. In the past, Samsung has been selling its flagship smartphones with different model numbers based on geolocations. This happened with Samsung Galaxy Note 5 and Galaxy S6 Edge+, but it did not happen with Samsung Galaxy S7 and S7 Edge and as it seems, it won’t be happening with Samsung Galaxy Note 6 either. One surprising thing about the leaked figures is that Samsung Galaxy Note 6 will have a European model this time round and as far as the United States is concerned, it seems all carriers will be receiving the same model number of the Note 6. Further, Samsung also seems to be keeping the same model number for all the unlocked variants of this phone. Stories have been claiming that Samsung will pack a 6GB RAM inside the Galaxy Note 6 and that the phablet will be powered by Android N right out of the box. In addition, there are reports that Samsung will increase the size of the Galaxy Note 6, this time coming in with a 5.8-inch display size as opposed to the traditional 5.7 inches. This is said to have something to do with the shift in size of the successor to last year’s Samsung Galaxy S6 Edge, which now rocks 5.5 inches of display as opposed to last year’s 5.1 inches. For power users, it is reported that Samsung Galaxy Note 6 will also come with a dual-SIM variant for some markets, just like with the case of Samsung Galaxy Note 5. While it is expected that the latest Snapdragon 820 SoC will power the phablet, there are some emerging reports pointing towards a Snapdragon 823 SoC, however, none of these can be confirmed at the moment. In case you are asking yourself why the sudden change by Samsung from using different model numbers for different markets into using the same model number across different markets, well, this has everything to do with rolling out software updates. Many users have been complaining that Samsung deliberately delays rolling out updates to their devices. In a bid to curb this, the company wants to have a uniform set of devices across the entire market such that when it comes to rolling out updates, not a single model is left behind or gets the nod ahead of the other. It has been happening where some variants with certain model numbers receive updates before days, weeks or even months before others do.